College Football is coming to Lambeau Field! 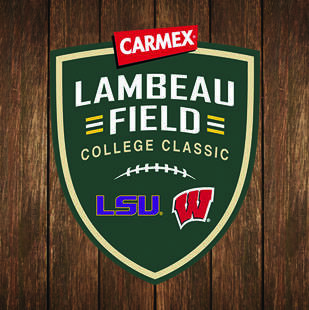 On Saturday, September 3rd, the Wisconsin Badgers will be taking on the LSU Tigers in the Lambeau Field College Classic, presented by Carmex. 1919 Kitchen & Tap will be opening at 10:30am when the Lambeau Field Atrium opens to ticketed guests only via the American Family Insurance Gate. Please be aware that if you do not have a ticket for the game, you will not be able to access the restaurant until 45 minutes after the conclusion of the game. For more information, please visit the Packers website.